The "Weeds" ebook was written for those who a looking to gain a solid foundation for identifying weeds, and through an understanding of how and where they grow and make good decisions about how to control them. Good weed control involves a holistic management of the problem. The Weeds ebook helps you understand both non chemical and chemical methods of controlling unwanted plants. 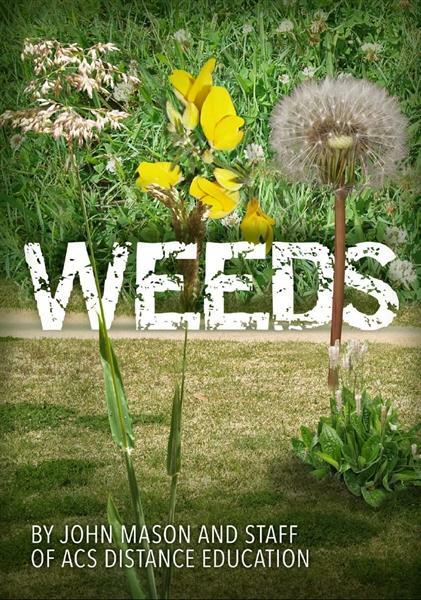 With 71 pages of great tips and information on weeds, this ebook is a must have for any keen gardener. Any plant has the potential to be a weed. is always important to use the appropriate treatment for the weed(s) in question. Young weeds are far easier to control than older ones. of weeds. You may need to be able to distinguish between types of weeds to determine whether the chemical will or won’t work.